We accept Paypal and money orders! Cool Jackson guitar! Look at the paintjob! Clean! Plays well! Light Crust Dough Boy Model! Very cool! Really nice guitar! Plays well. Cool dobro! Has a square neck! Good Clean 70's Gibson Amp. Works great! Gibson Super Reverb copy. Works great! Fender Twin Reverb Silver Face! Fender Twin. Works great! These are getting harder to find! Kustom Tuck and Roll Amp! Cool Vintage Cabinet. Great for the road! Yamaha John Myung 6 String Bass! Nice finish and a cool six string bass. 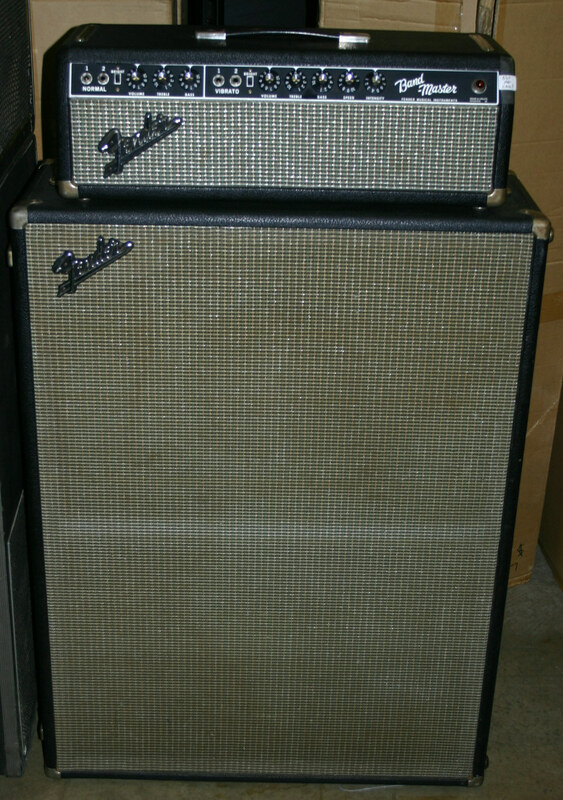 Nice Vintage Fender Bass Cabinet! Gretsch Tennesee Rose Reissue Guitar! Super Clean! Like new! Great sounding guitar! Fender Bandmaster Head and Cabinet! Vintage! 60's! This is one the cleanest you will see around. These don't come around often and are hard to find! Sounds great! 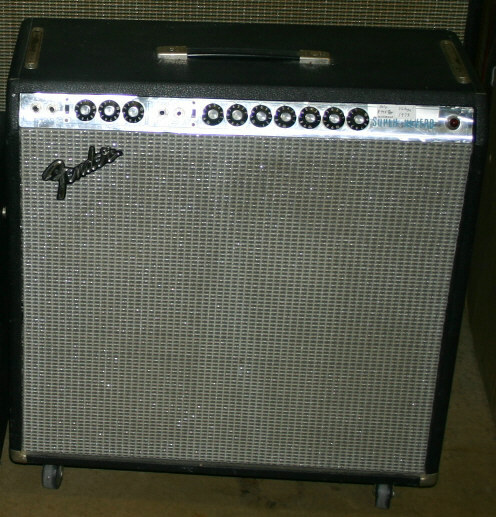 Fender Super Reverb Amp! Silverface! Early 70's! These great amps are getting harder to find. Get it while it last! This is a 6 string mandolin! These don't come in used often! Get it while it last! 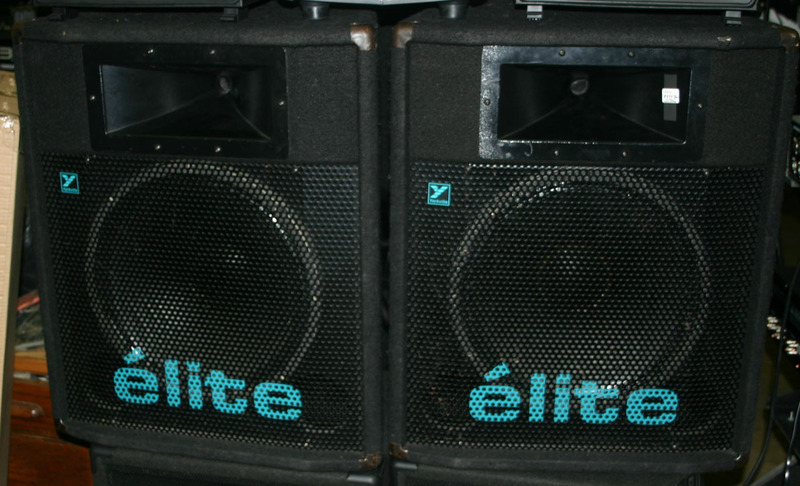 Pair of Yorkville Elite Speakers! Great little vintage bass for the price! Has the Gibson pick-up in it! Very cool baritone guitar! Has the cool tri-sonic pick-ups! Cool vintage guitar! Cool archtop guitar! Jackson Scott Ian JJ2 Guitar! This is a sweet guitar! Plays great! Very cool guitar! Look at the shape! This guitar is very nice and a real looker! Plays very well! Rue Tyler Model! Very cool piece! Nice sound!